CASA III Condo located at 50 Charles St. East. The Tower will stand 56-storeys in this Toronto’s most sought after Yonge and Bloor neighbourhood, This project is close to intersection of two subway lines & mere steps to the heart of Bloor-Yorkville’s upscale shops, fine dining and entertainment district. Each floor has 5 elevator accesses. Cresford is an established residential builder with a reputation for consistently meeting and exceeding the condominum needs for other clients. In business for over 40 years, Cresford's experience is vast. it's the company's respected knowledge of the industry, attention to today's trends and focus on tomorrow's visions that give Cresford a well-recognized leading edge advantage. Committed to excellence, Cresford is driven to set new standards in quality and service, ensuring the highest attention to detail for every development. Cresford believes in doing things differently and doing things right - with an enthusiastic commitment to the homeowner, their life and their style. Yonge and Bloor is considered the center of the city where the subway lines originally intersected. This is probably the best location to access any other area of the city from with every form of transportation at your doorway. It is fine living fused with a location steps away from both Yonge and Bloor subway lines that puts you in the centre of Toronto's most prestigious urban neighborhood. A quiet, tree-lined street, mere moments from the excitement of Canada's largest city. 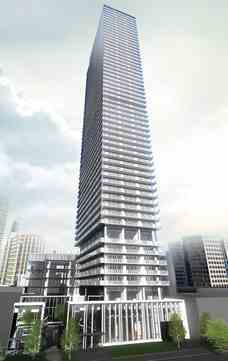 CASA 3 Condo is a short walk to Toronto's most popular entertainment venues.